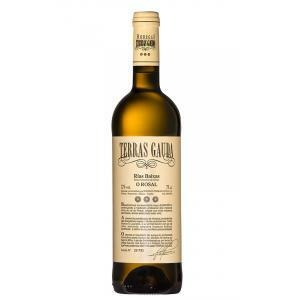 Bodegas Terras Gauda produces the Terras Gauda 2018 (£9.64), a white wine from Rias Baixas produced with loureira, caiño, loureiro, caiño blanco and albariño from the 2018 vintage and presents an alcohol content of 12,5%. The Terras Gauda 2018 is the ideal white to combine with tuna salad and soft cheese. 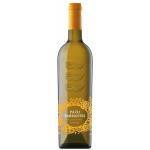 Uvinum users evaluate this white wine with 4 out of 5 points and also has the following ratings: peñín: 91. - View: straw yellow, light golden reflections. Clean and bright. - Nose: ripe peach, herbs, orange blossom, tangerine citrus and orange peel, subtle mineral, earthy memories and notes of bay leaf and mint. 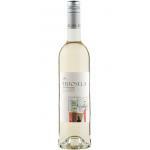 - Mouth: with fleshy, powerful structure, velvety feel, consistent, fresh and gentle acidity, pleasant, intense wine with a long finish. 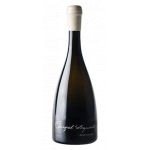 VINEYARD: Area: 117 hectares of Albariño, white Caiño 33 hectares and 10 hectares of Loureiro. average age of 30 years vineyards planted on a strip of slate (metamorphic schist) unique among the predominant granite in the denomination. GRAPES: 70% Albariño, 22% white Caiño, 8% Loureiro. PREPARATION: after cold maceration of various lengths depending on the variety, fermentation carried out at low temperatures in stainless steel tanks. After adding natural yeast extracted from the winery's own vineyards, wine, cold stabilized, filtered and finally bottled. PAIRING: teriyaki salmon with rice. 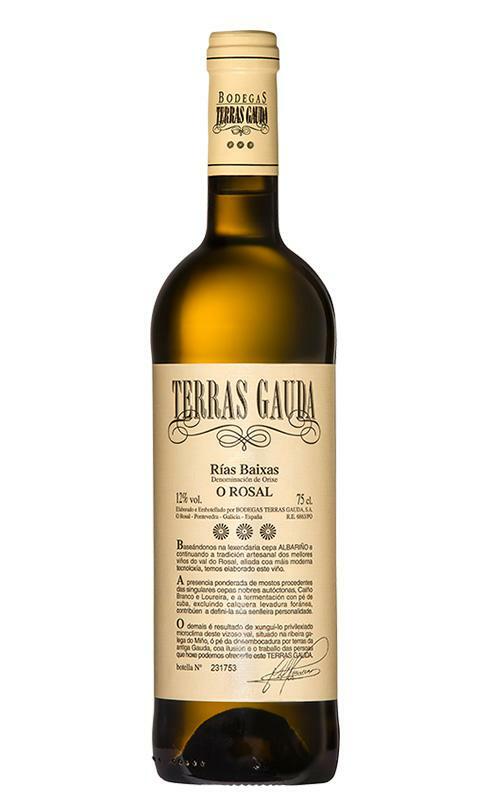 Terras Gauda 2018 is a wine that stands out for its friendly on the palate, moving towards a pleasant, sticky sweetness accompanied by fresh, lively acidity, ending in a final fleshy, long and creamy mouth. 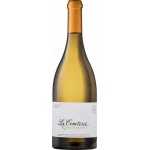 - Nose: very complex aromas of ripe peach, herbs, orange blossom, citrus mandarin, orange peel, subtle mineral notes, earthy, bay leaf and mint. I was surprised it was a white with such an intense colour. Smells like honey. This Rias Baixas has a very good acidity. 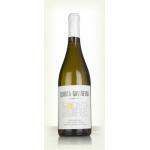 If you want to buy Terras Gauda 2018, at Uvinum you will find the best prices for Rias Baixas white wine. Purchase it at Uvinum at the best price, comfortable from your couch and with all the guarantees. We bring you the largest catalog of more than 59.000 products becoming this way the biggest online shop to sell wine, beer, and spirits in Europe with over 38.000 clients trusting us.